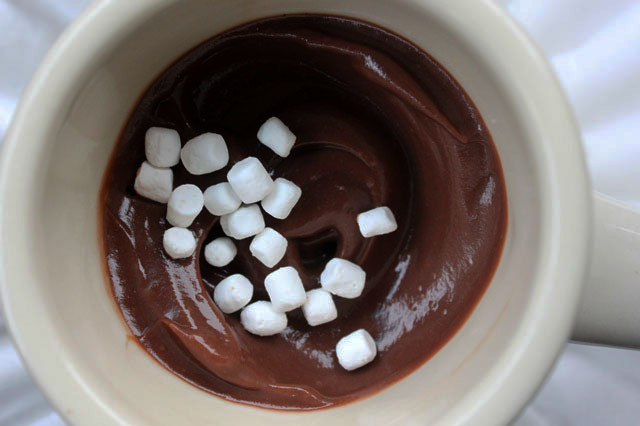 One of my instant hot cocoa dreams has come true! 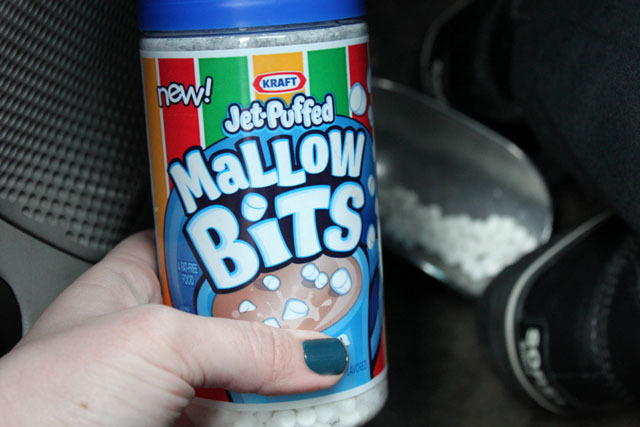 Jet Puffed now sells those little crunchy marshmallows (that there are never enough of) inside cocoa packets. They come in a container that looks something like coffee creamer packaging, and so far I have seen them in vanilla, chocolate, and peppermint varieties. 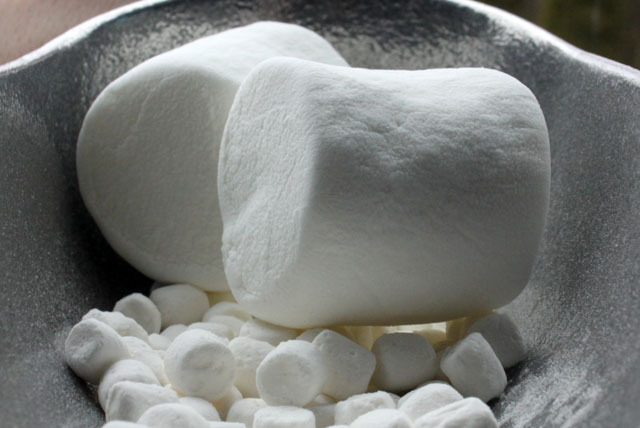 The mallows aren’t puffy at all and seem more like space food to me. They were super in my mug of chocolate pudding. 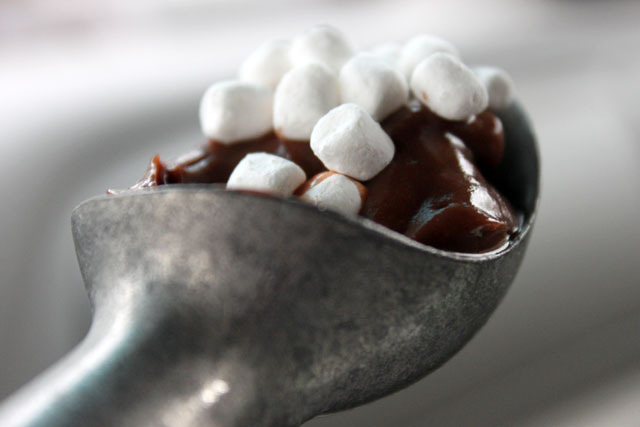 If you also prefer crunchiness to squeakiness in your Rocky Road, wait to add the mallow bits until just before consuming. Otherwise, they rehydrate in the pudding. Have you seen these yet? I don’t have any grand plans for them, so far I just like to munch them (like tiny meringues). Let me know if you have any ideas! Great pics…thanks for the heads up. What will I do with them? Something delicious I am sure.